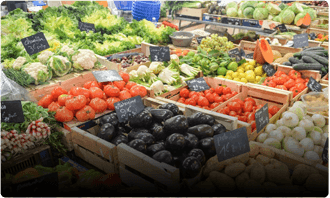 We offer a fully white label grocery shopping app solution for supermarkets, grocery chains, aggregators and startups to build and grow their grocery business. We support all the popular online grocery delivery models with our customizable grocery app development solution. 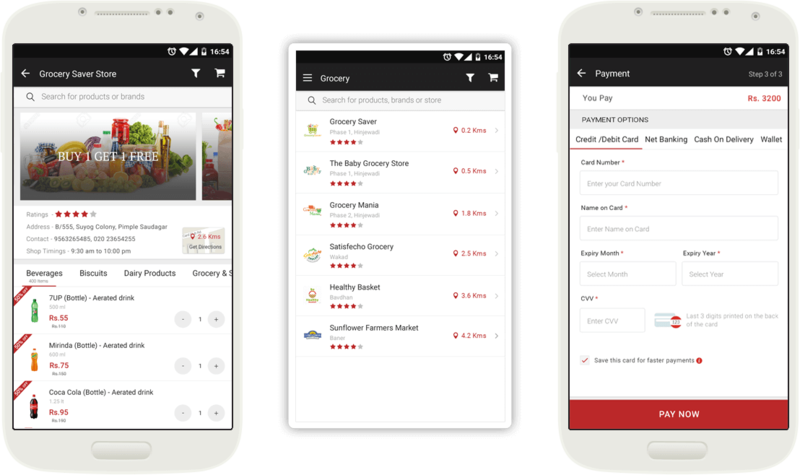 We enable grocery delivery startups and aggregators to launch a feature-rich grocery app like Instacart or Grofers. Offer a one-stop grocery shopping app across all your stores and manage everything from a central dashboard. 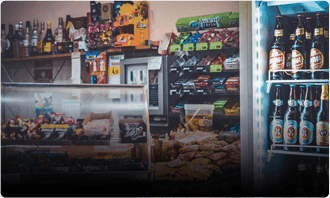 Establish a direct connection between your Kirana shop and your loyal grocery shoppers and grow your business. A feature rich and fully customizable on-demand grocery app development solution. Shoppers get intuitive Android and iOS apps for buying grocery online. Getting started is quick and seamless with email and social login options. Choose a wide range of food and grocery products with a detailed description. Shoppers can easily find items with intuitive search, filters, and sorting. 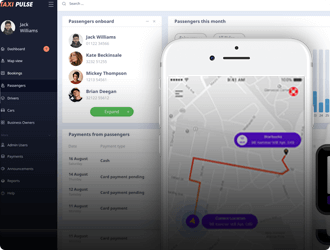 Customers can pay the way they want with support for all popular options. 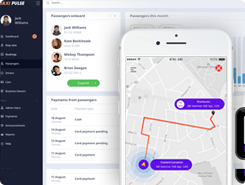 Real-time tracking and alerts to know the exact status of an order. Customers can choose a convenient delivery time to receive their orders. Shoppers can quickly repeat an order from their order history saving time. Provide deal alerts, price drops, order alerts and other important updates. A dedicated section for shoppers to find all the latest deals and discounts. Simple profile management, addresses, payment details, notification settings, etc. Get useful feedback from your customers about their shopping experience. 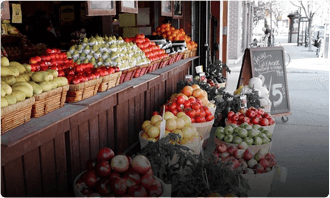 A one stop web admin to manage all aspects of your grocery business. Run and manage multiple stores and handle them individually in one place. Add managers to your stores to simplify and streamline store management. Create product listings, add pricing, quantity and other inventory details. Manually assign new orders to your stores or let it be handled automatically. Keep an eye on every order placed and their fulfillment details. View and manage all customers registered on the platform and do more. Add your payment details and started getting paid for online grocery sales. Create new offers, deals, and discounts and manage their availability. View customer feedback for grocery delivery and accordingly make changes. 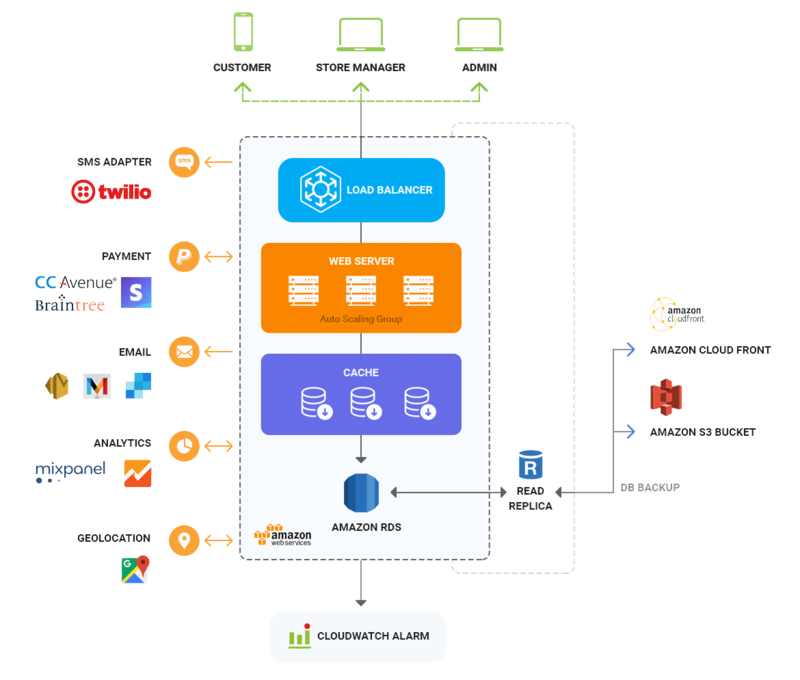 Manage push, email and SMS alert settings for customers and store managers. Leverage data and insights to grow your grocery app business faster and smarter. Store managers get a web interface for easy order management. Managers get real-time web notifications on all new orders received. Managers can dispatch an order from their store for delivery. Track all store orders - new, in progress and completed ones. Store managers can view and manage their store inventory and pricing. Allow shoppers to browse and shop products from a specific store. Make your stores easily discoverable on a map for easy navigation. 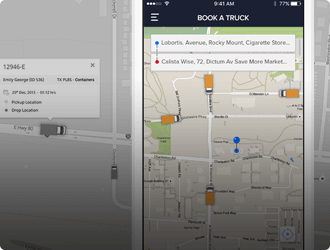 Provide option to order items online and pickup from a nearby store. Provide your customers option to make purchases from a web app. Power your doorstep delivery operations with third party integration. Add customer support integration to resolve user queries with ease. Integrate with an inventory management software for higher efficiency. 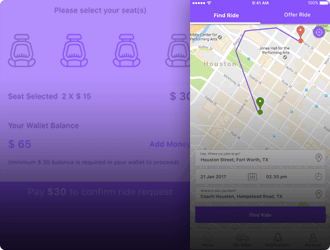 Allow users to swipe from a different location like when they are traveling. Interested In Launching Your On-Demand Grocery Shopping App? More and more people are getting comfortable with buying grocery online and getting them conveniently delivered at their doorsteps. The opportunity to grow and scale your grocery business with a mobile app is huge and we want to help you achieve that success. We will be your perfect technology partner to build a robust online grocery shopping platform. Get a fully branded and tailored grocery app solution with custom features, integrations, and enhancements. Your business can get started with selling grocery online quickly and cost effectively with our base solution. We develop custom grocery apps for grocery store marketplaces or single or multi-vendor grocery businesses. Integrate with third party logistics, inventory management systems and more to supercharge your grocery business. Launch your Grofers or Instacart like app in multiple regions with multi-language and currency support. Built-in support for popular payment gateways like PayPal with the flexibility to add your preferred ones. Our grocery app development solution has been built to scale with ease as your online grocery business grows. 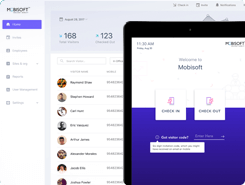 Our solution provides intuitive app experience for your customers and simplified management for your business. We work closely with our clients from discovery to post-launch support to ensure maximum ROI. Our grocery app developers have chosen a robust technology stack with powerful third-party integrations to launch your online grocery shopping platform. We have a range of pre-built mobility solutions for different verticals that are tailored to specific business requirements. 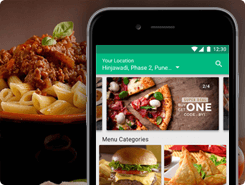 On-demand food delivery app development solution to connect foodies with nearby restaurants. 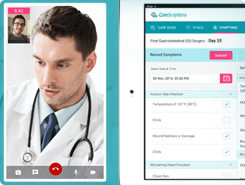 A branded medicine ordering app development solution for startups and pharmacy businesses. Need Help With Grocery App Development? Grow your grocery business much faster with a branded grocery app that delivers a seamless grocery buying experience for your customers. The cost of grocery app development would depend on a number of factors. Primarily these are the number of platforms you want to target and the features you want to have. 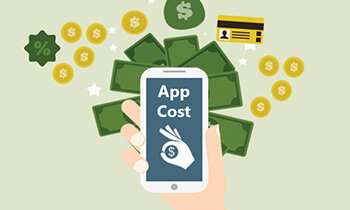 Custom app design and other third-party integrations will add to the cost. We encourage you to submit an inquiry with us so that our experienced sales team and reach out to you and give you a proper estimation as per your specific requirements. Well to answer this question, we would have to identify who will be running the app. 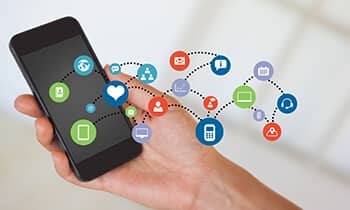 For grocery chains and store owners, grocery apps are a powerful channel to increase online sales or drive in-store traffic. For grocery store aggregators, the primary business model is to charge commission from grocery store owners for helping them increase their sales. Sponsored listings and third-party ads are other revenue sources. Absolutely. We have built our grocery app solution by studying the most popular grocery apps across the globe like Instacart and Grofers. The advantage you get by working with us is a tailored grocery app specific to your business requirements. You just choose the features, design, and integrations and we do the magic for you.